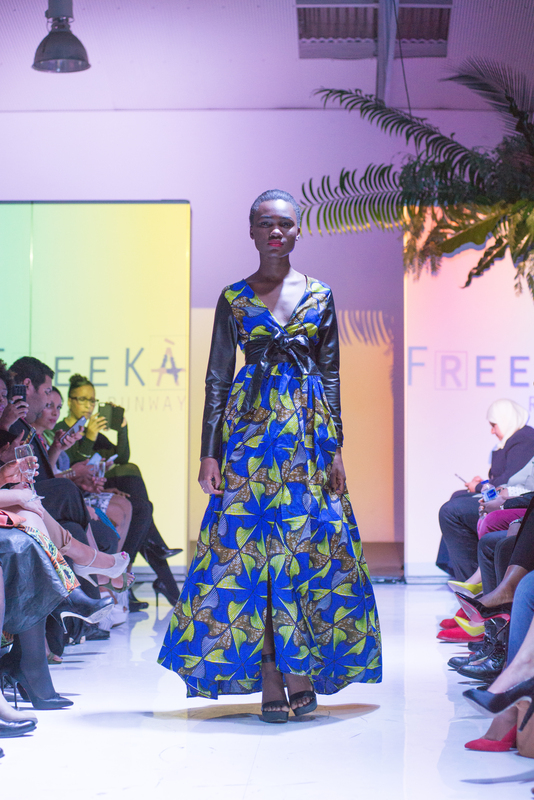 “FreekÁ was always more than a fashion show. It became a living breathing way of life. A reminder of the beautiful souls I share my life with. It restored my faith in all things GOOD”. Billie our backstage co-ordinator posted this a day after FreekÁ. To say it resonated with me is an understatement. It spoke to my heart. In that one sentence she had managed to capture everything I had hoped FreekÁ to be and what it actually was. I had made a decision earlier that week that i was going to be in control of my emotions. Nothing and no-one was going to take all our hard work away from us. 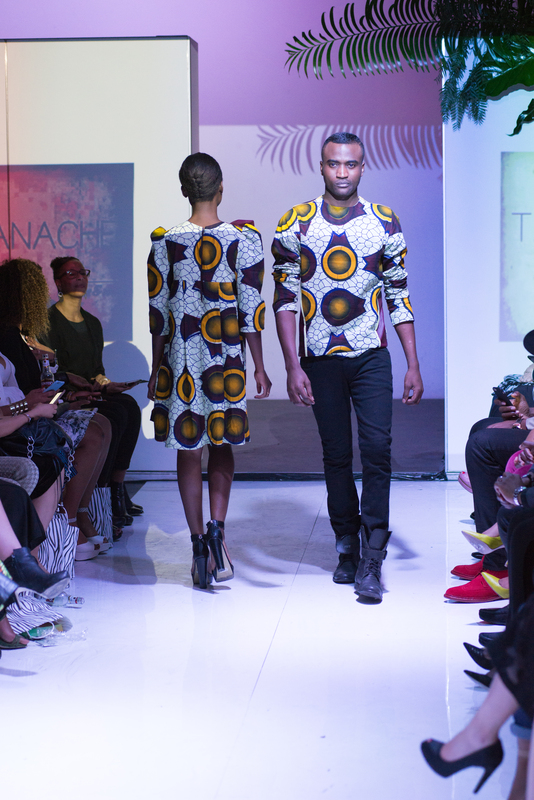 It had been two and half months of planning and it was time to reap the fruits of our labour. My reliable Rooibos, lemon, honey and ginger concoction put me to sleep by 9pm the night before and when the alarm went off at 5.30am. I was ready. My friend Tam sent up some powerful words over our day, those who would be attending and of-course the show and we were on our way. Within a few minutes of arriving the adrenaline kicked in. 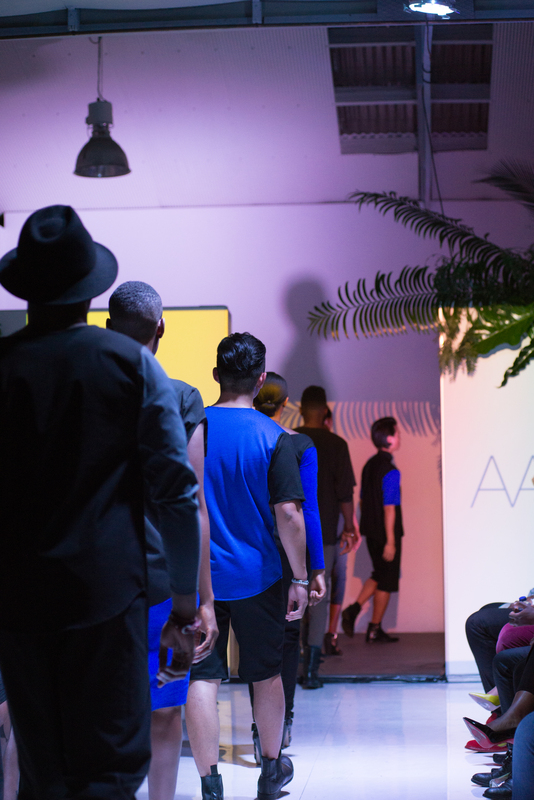 Tapi began laying the runway, i started setting up the back of house, Billie arrived and began to fill the room with greenery and the boys were hanging lights and setting up sound. By 11am our volunteers were finishing off the gift bags and the designer’s and models had started to arrive. It was showtime. The night started off with a video which Tapi had been working on for the past few months, the video communicated the strong message behind FreekÁ . Freedom of expression. Free Africa. Old Africa. New Africa. Africa unite. Mid way through the video Yenzi, Vuyo and Moses our pansula dancer’s came on stage and gave us a lil of that stuff we can never get enough of. The perfect way to open the show. 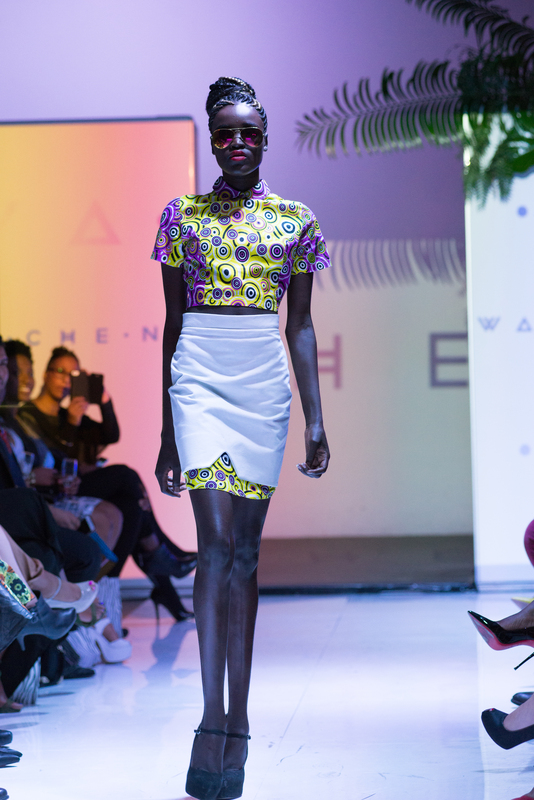 Our MC, Teon ( who by the way came straight from a soccer match and onto the stage with no rehearsal ) welcomed everyone and introduced our first designer’s Wachena Africa. 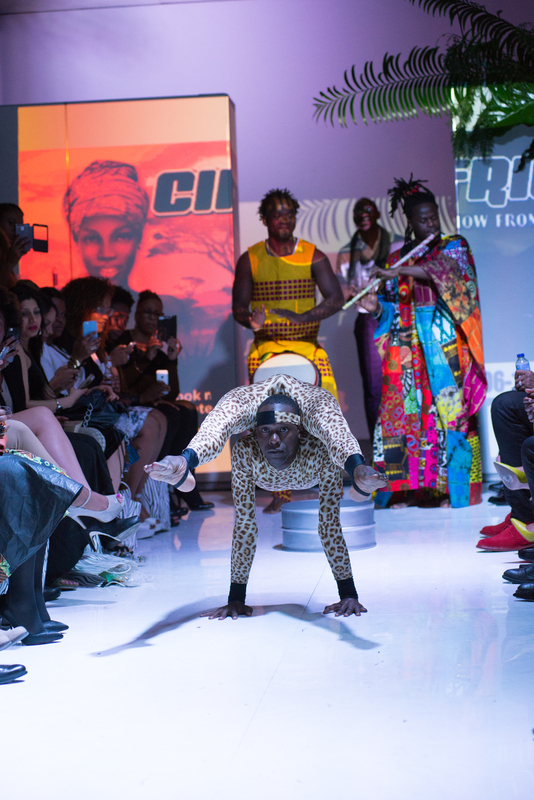 Rungi and Fuzz spoke about the origins of their clothes, all pieces made in Zimbabwe, reigniting the rag trade industry in Zim. 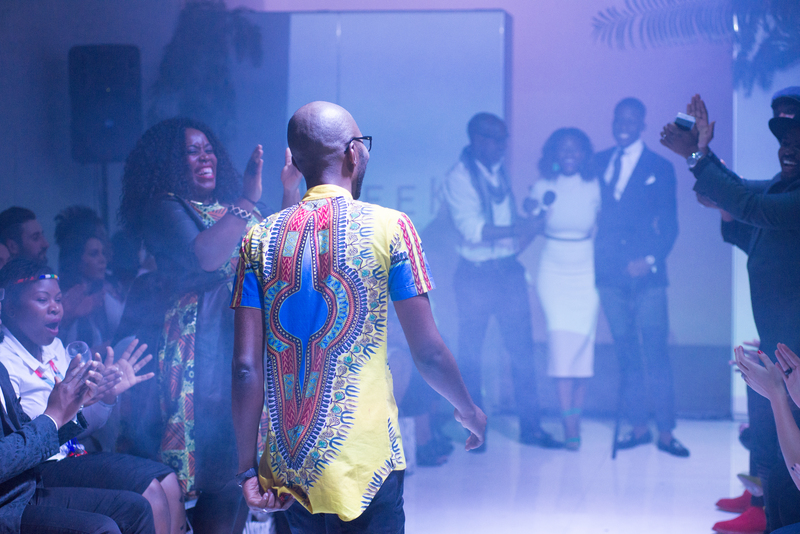 It was Ivory and bold afro print with oversized mirrored aviators. 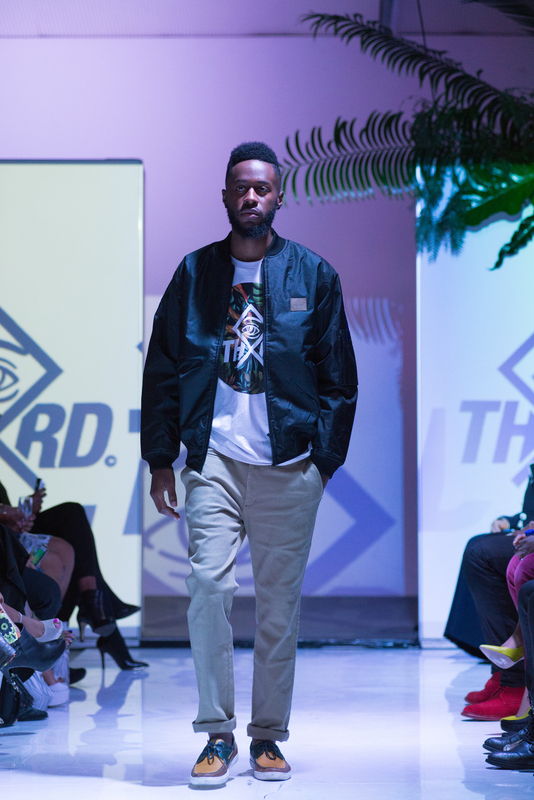 Thrd Eye were next giving us men’s street fashion with an urban edge to it. I love the ready to wear element of each piece, something you could wear with anything you already have. Chris, I need that bomber jacket for Tapi! 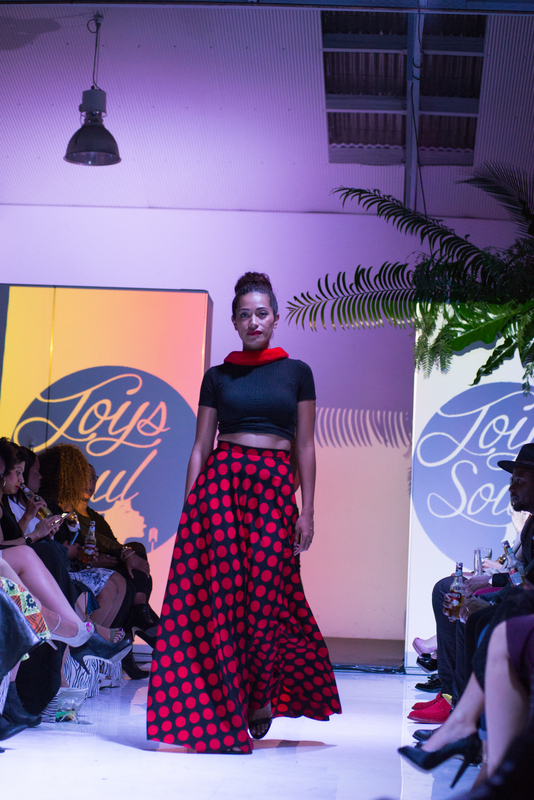 Hanan, a recent graduate from RMIT was next with her first collection ever, we were all excited for her but her mom’s excitement was on another level! It was just so infectious! 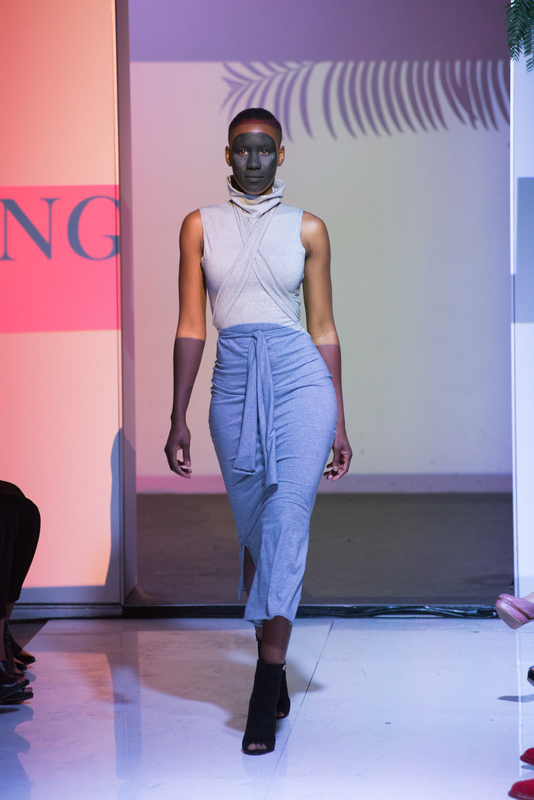 Her collection brought back colour blocking, black and grey with a pop of blue. 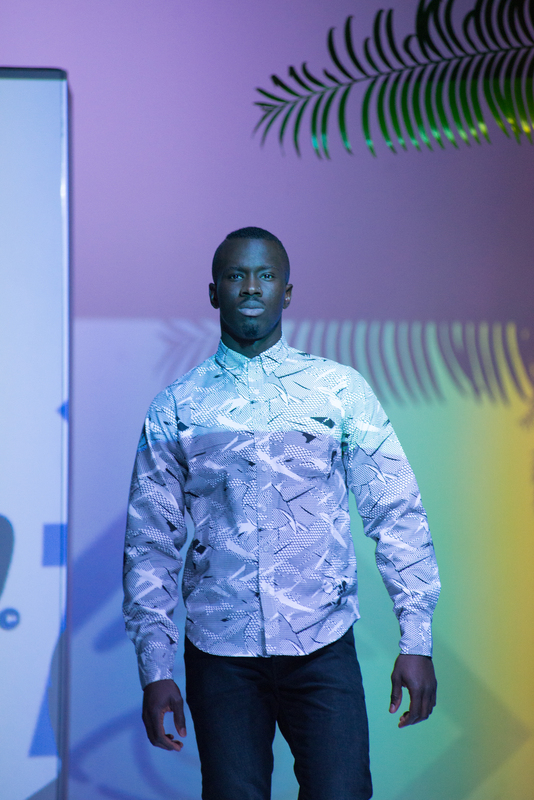 We then had a special presentation of one of my fav designers in Zim Haus of Stone. I have been obsessed with HOS for a while, such a unique point of view. 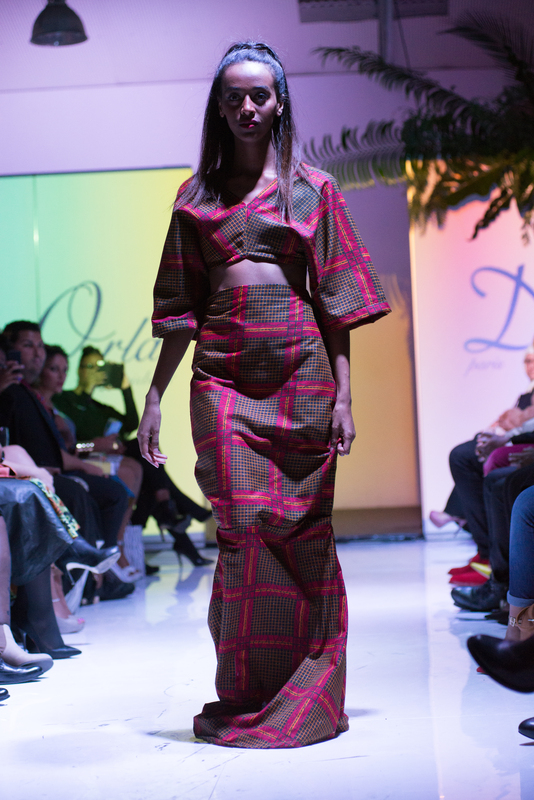 I love how Danayi the creative director of HOS references traditions and cultures from all over the globe, making the HOS girl so international and always uniquely on trend. 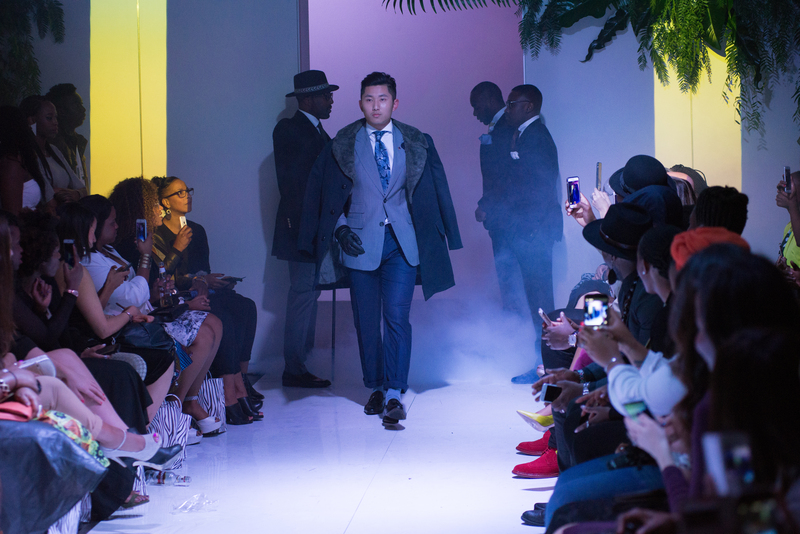 Neo Couture took it to the next level mixing prints and leather. I’m about to name Neo “queen of the maxi”, that opening maxi with the full leather sleeves, yes honey!! Lastly my French connect the lovely Gracey from Orla Dee. 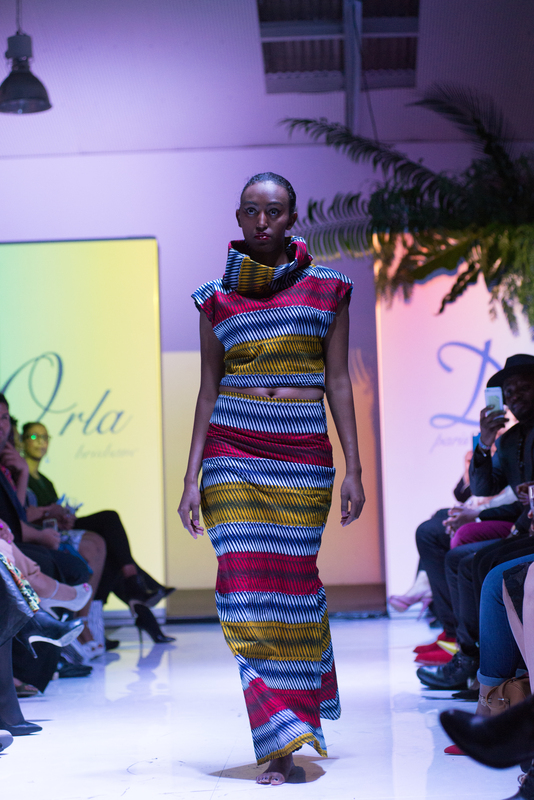 She is always pushing the boundaries, this time it was a beautiful evening wear collection, elegant, lots of skin and lots colour! Finally it was time for the interval and most importantly It was time for some food! 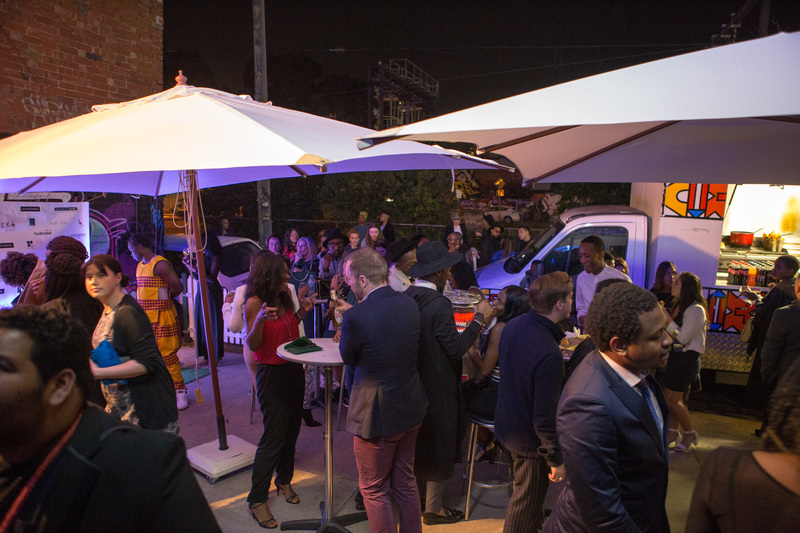 As promised Afro Feast food truck was ready for our guests, Dennis had cooked up a storm of African street food, those samosa’s went down pretty well with a can of Hunters Gold or Castle Lager from our bar. 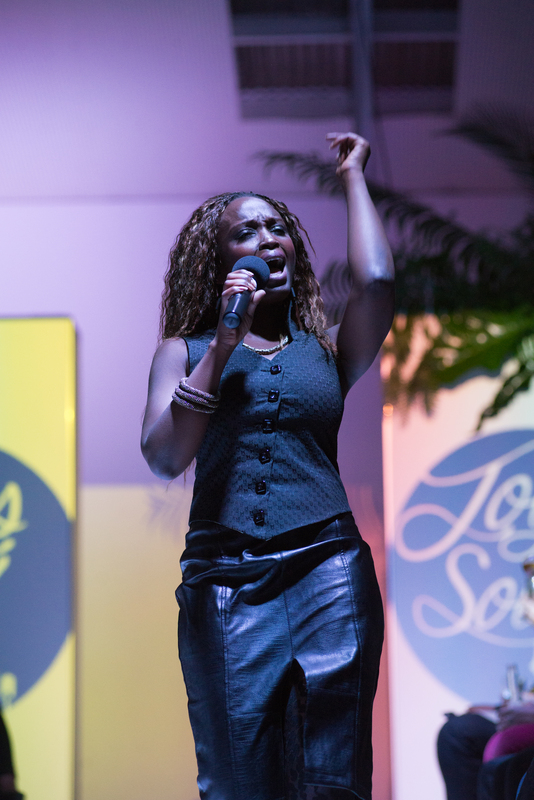 JoysSoul opened the second half of the show with a sizzling performance of one of her latest hits. She is a powerhouse and I must say I’m totally crushing on her. The black leather, the power vocals the stage presence, Gurrrrrrrl! 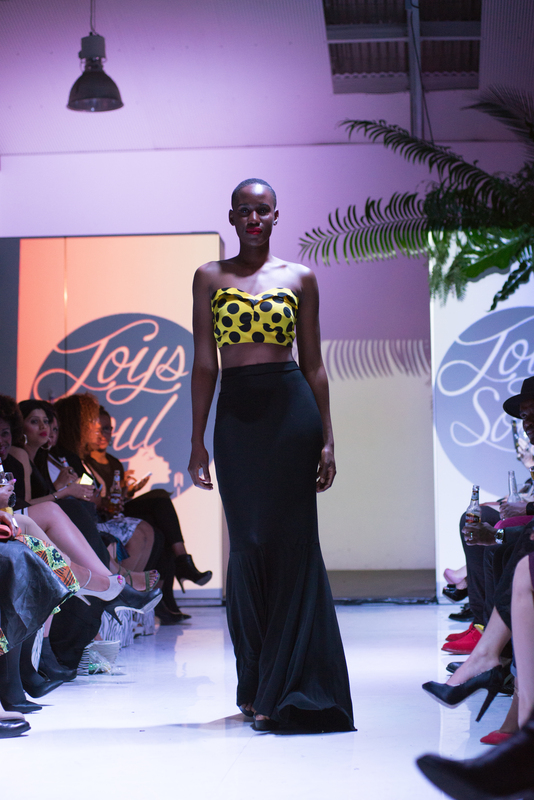 Klassic Designs graced the runway while Joys did her thing. Emily never disappoints, polka-dot and fur, It took me to a winter ball somewhere in the middle of Russia, so feminine and chic. 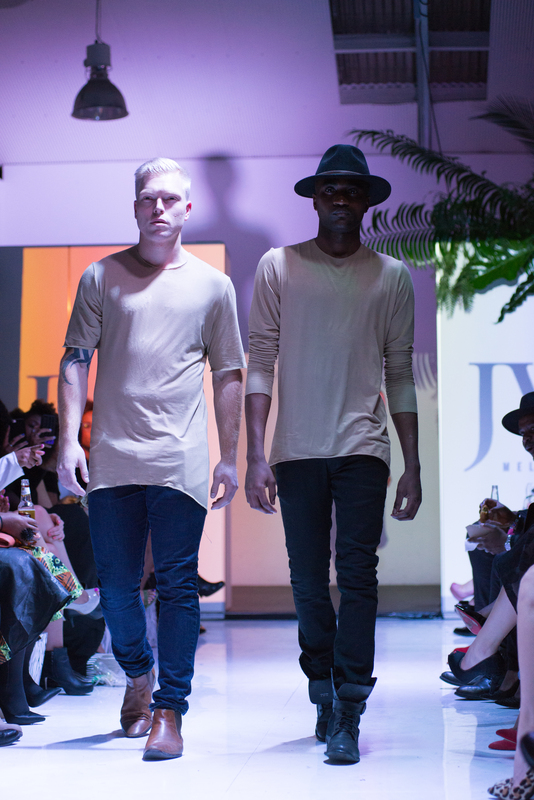 JVP Melbourne brought the boys back to the runway. 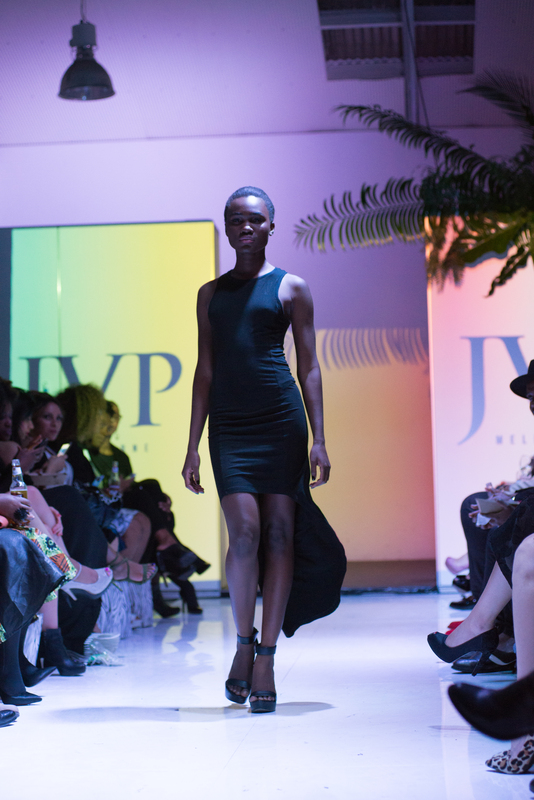 JVP is a hip hop brand that has been growing exponentially on the international and local scene with famous hip hop stars being spotted in their signature rose collection. 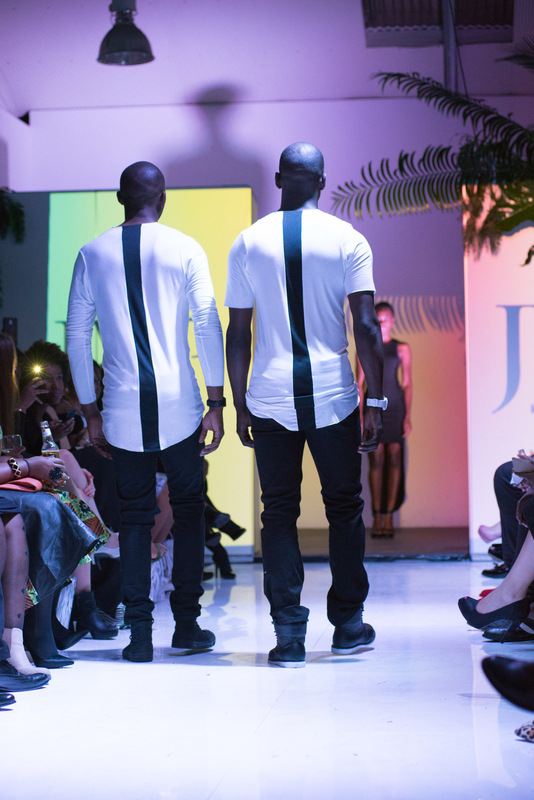 We were honoured to have the founder and creator Jason grace the stage and introduce his new collection with the models walking to the Miguel ‘simple things” JVP Mix. 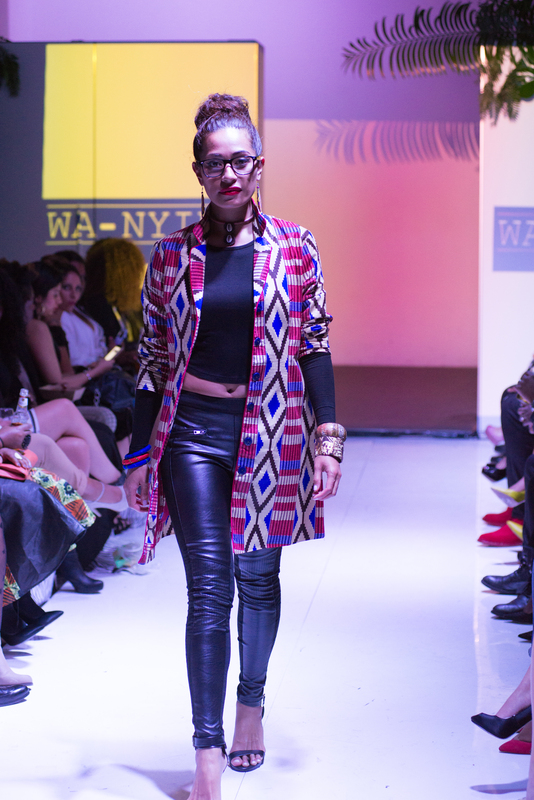 Next we had the bubbly Wa-nyika with what i would describe as retro afro chic with oversize geek glasses and shoulder pads! Yes, bring shoulder pads back! 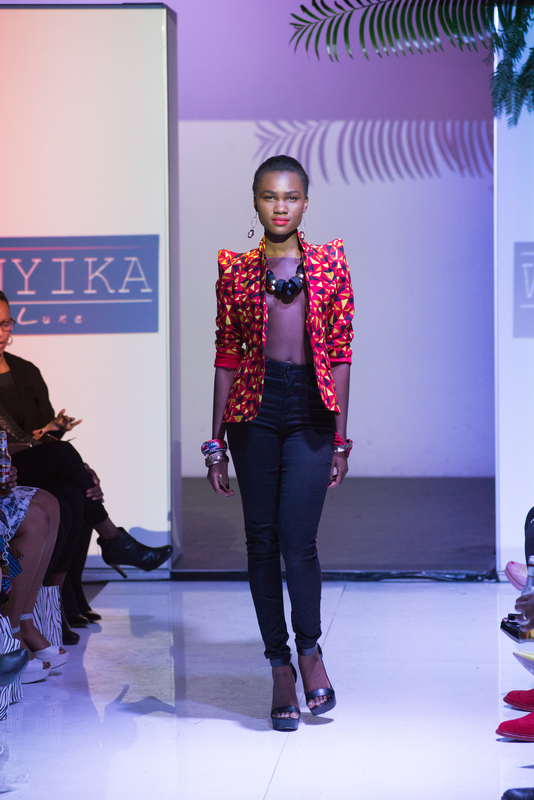 Vicky left us breathless with that blazer and statement neck piece. We then had what some would say the most controversial part of the show. It surely got everyone out of their seats and the phones were out. 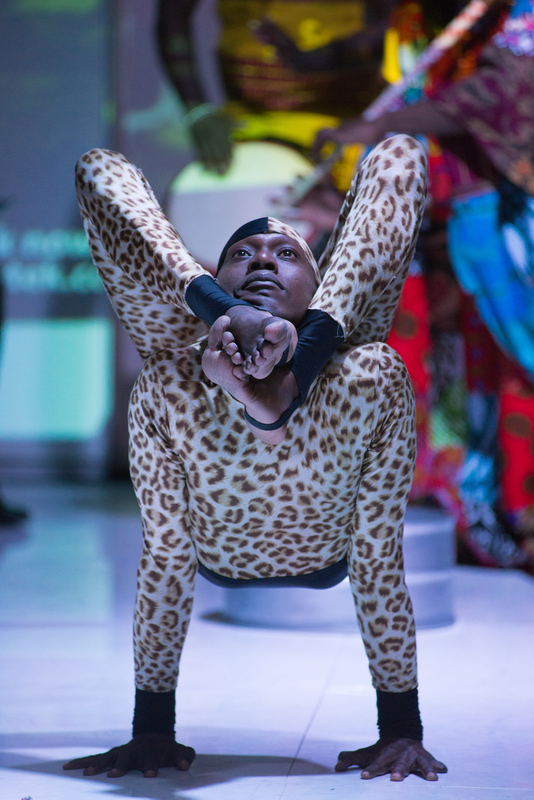 Lazarus the contortionist from Cirque Africa left the audience speechless as he made his way through a tiny 20cm ring. I spent most of the performance screaming for fear of his life and at the same time wondering if i’d taken out public liability insurance for this event! Michelle and Merlissa from Tanache were next on the agenda showing off beautiful gowns which would make any girl feel like royalty. 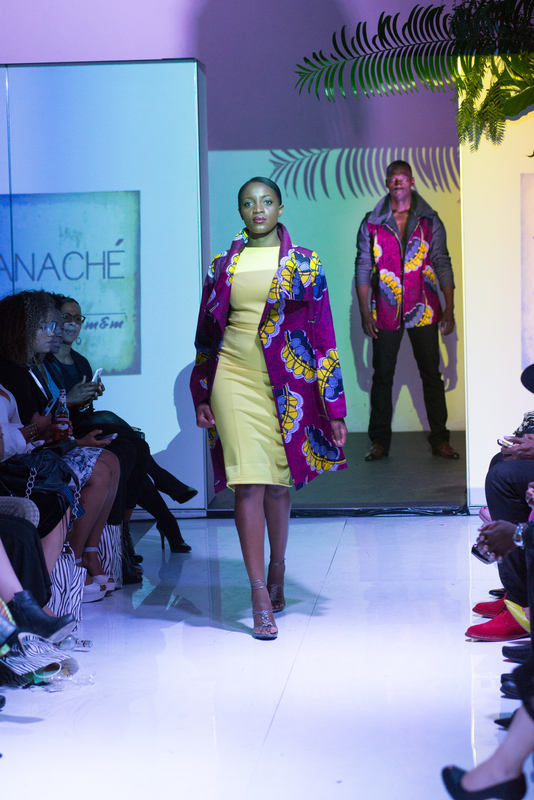 Rich Ankara prints that make you realise why we love Africa so much! I was so proud of M & M who has been freaking out all day about coming out on stage and introducing their designs. 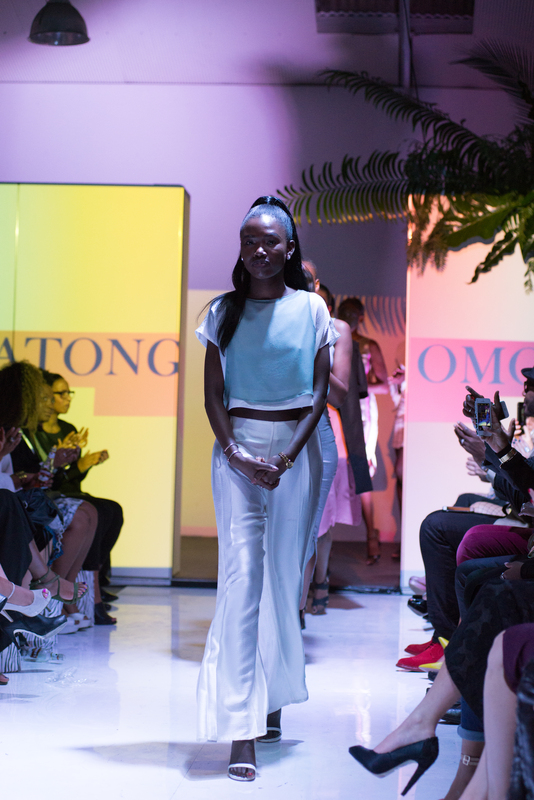 Our last designer was Atong Omoli for The Social Studio, her designs just as regal as she is. The girls had their faces painted black representing “black is beautiful” walking to Kanye West “Stronger”. 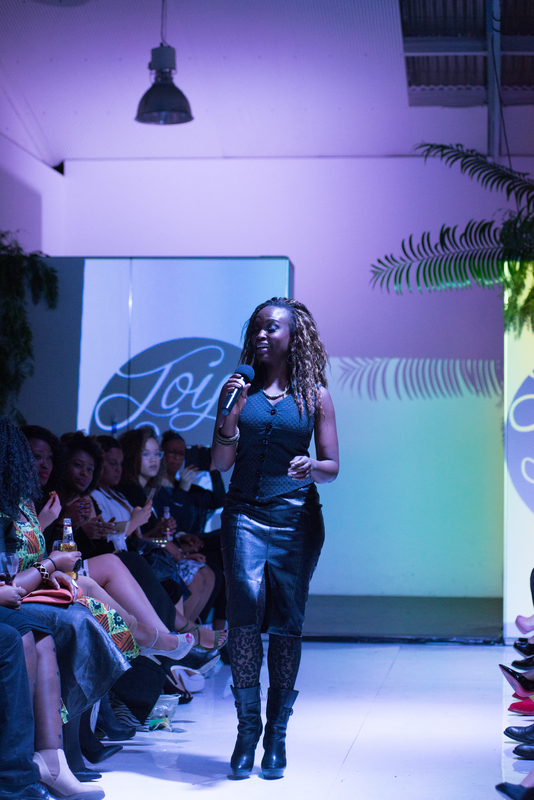 It was a perfect message to finish the runway show. Although just when they thought it was over, Button Brothers had to shut it down officially. They weren’t ready though. 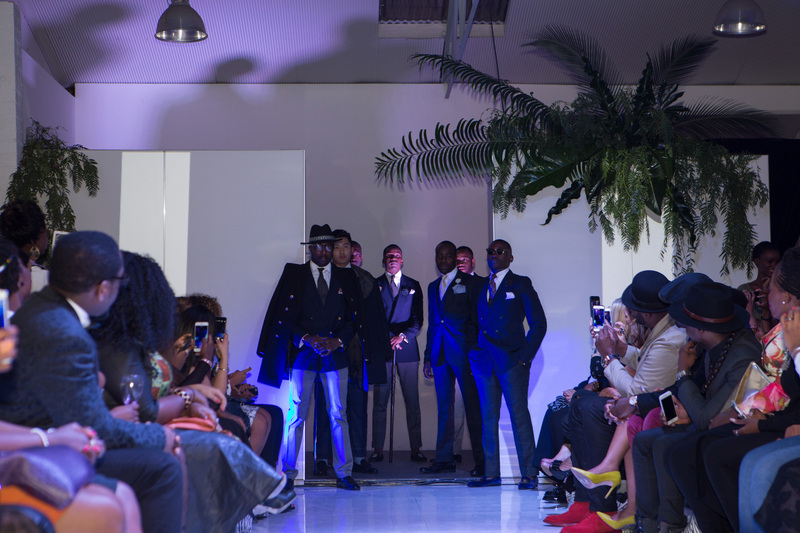 Palmer and the boys strutted their stuff in their dapper suits, the ladies lost it! So did Tapi and I , it was great to see Palmer in his element and there’s just something about men in suits huh!? Honestly speaking there are no words to describe the atmosphere and the vibe that made FreekÁ. Everyone came out dressed to kill and my team was on point. Liz and Precious checked in the guests with massive smiles on their faces, front row received complementary glasses of JC Le Roux on arrival, my backstage was seamless thanks to Billie, we don’t call her boss lady for nothing! She kept everyone on point, I wasn’t even tryna mess with her! Our make up artists Raff and Tanaka beat those girls to perfection and Aleisha our hair straightening ninja. WOW! 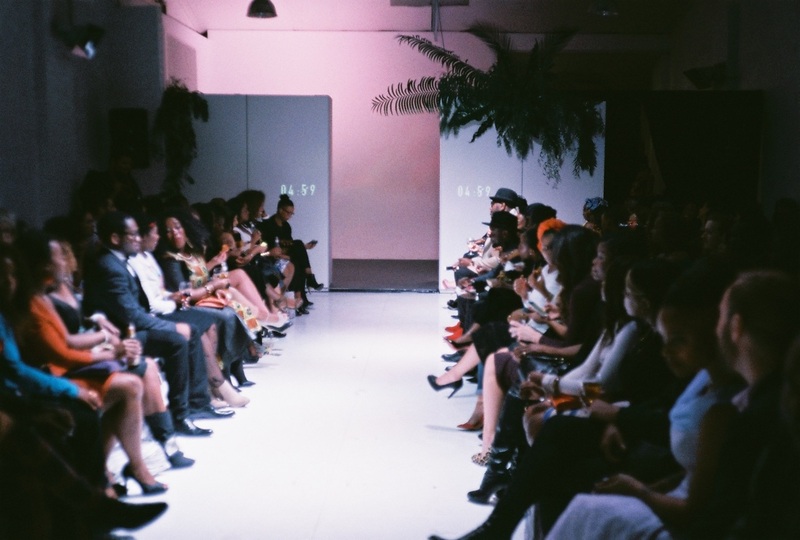 Shout out to my dressers Ash and Ashley for always looking calm when i came in to check up on everyone and my models for just leaving everything on the runway. Thank you again to our gift bag sponsors Gusto and Elan, Hydrodol, Milkman Australia ,Revvies , A-List to mention a few. Lastly, to the dream team, Tapi, Palmer and Mati…and to answer everyone’s question. I think it’s safe to say FreekÁ will most certainly be back next year. Till then. It’s a wrap! 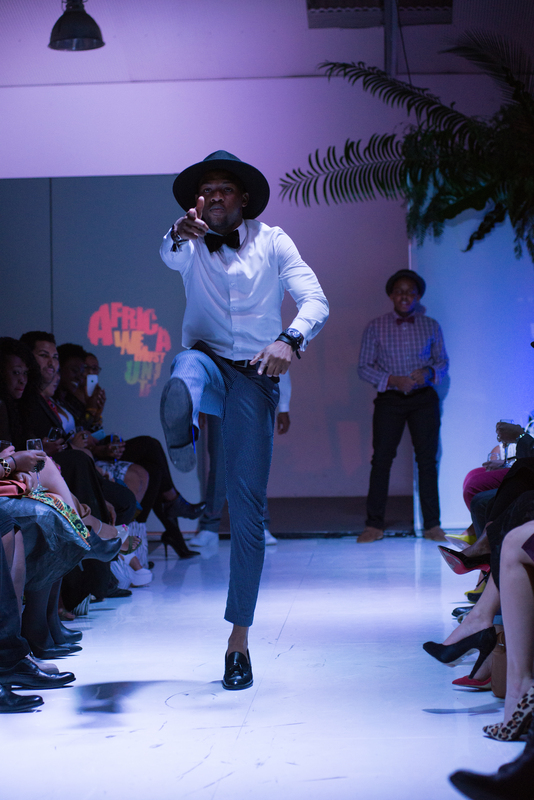 For more pics click on the FreekÀ Runway tab above. Haha thank you hun, was wondering who TKmud is, lol! 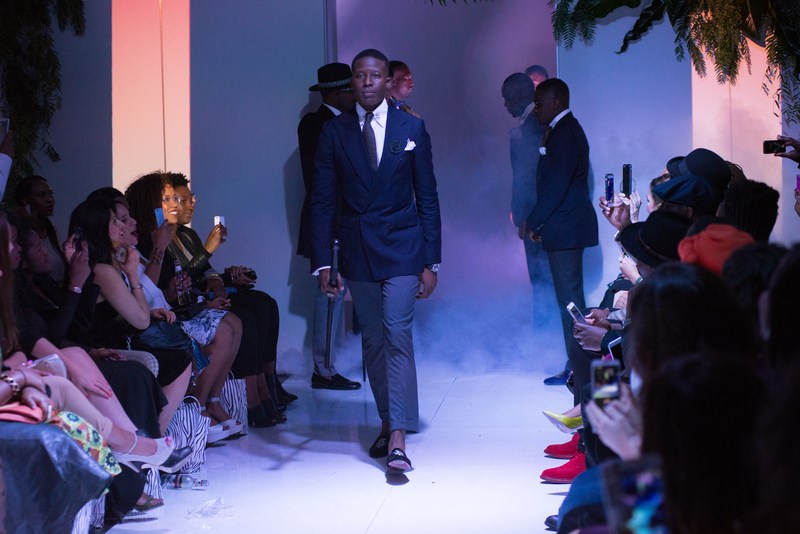 Awesome great to see Melbourne setting the pace and doing some incredible things to promote fashion designers in Australia. I know!! I’m pretty excited to see what other awesome designers are going to come out of the woodwork! Thanks for taking the time to read and give some feedback on FreekA Nyarai! Hi there. 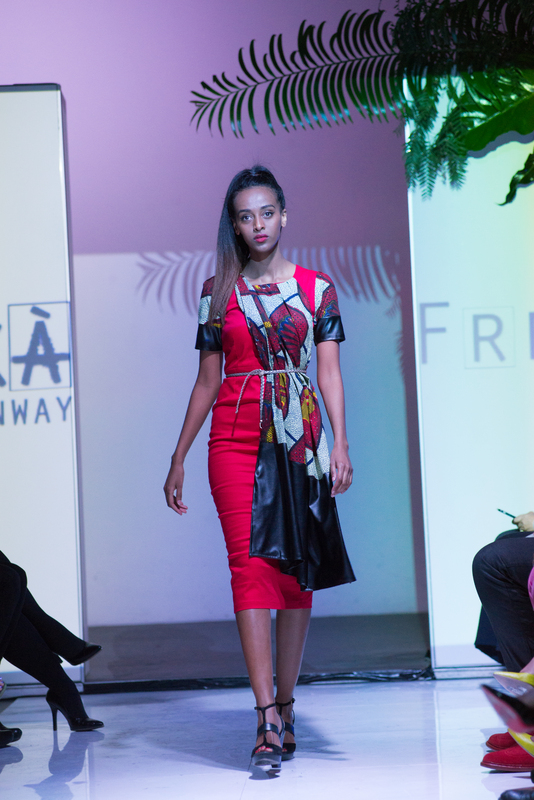 Freeka-runway is a phenomenon. Your prose set the scene and I already want to buy the ticket for the next one. As usual M&T delivered. Well done guys and team. You guys seem to have caught second wind in this. You are in the right place. Cannot wait for more. Keep it coming. Well done. Bapa. Thanks BaPa! It was a great night! The words don’t do it justice!